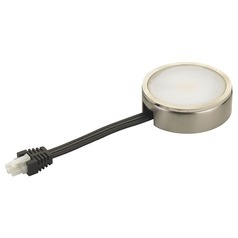 The following are detailed specifications about the 120 Volt Satin Nickel LED Puck Light Recessed / Surface Mount 3000K 260 Lumens. 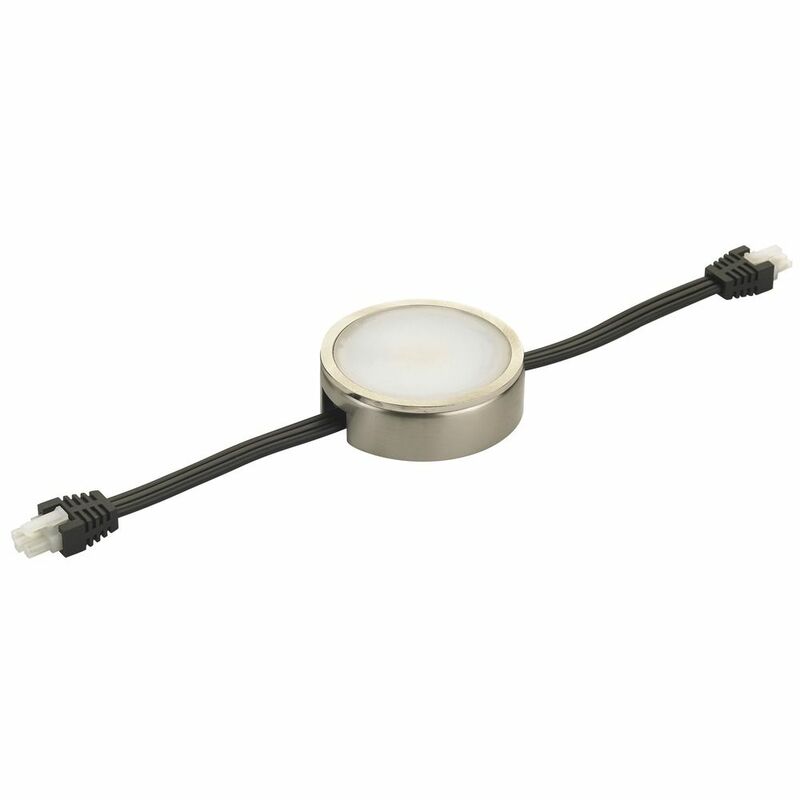 Satin nickel under cabinet LED puck light that comes with two wires and can be used in the middle of puck light installations. 4.5-watts, 260 lumens, 90 CRI, 3000K color temperature that is equivalent to 20-watt incandescent. 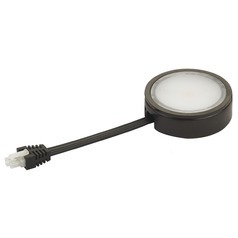 Can be installed as surface mount or recessed. 120-volt line voltage. The cutout for recessing the pucks is 2 3/8 diameter hole.Two wire puck light to be installed at the start and in the middle of runs. Suitable for installation in dry locations only. ETL / CETL certified. 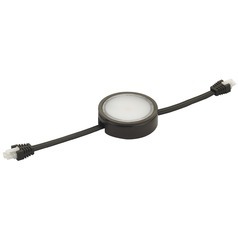 Depending on installation you will need to purchase a cord and plug that comes in either a two foot length (product 548980) or six foot length (product 548981) and an interconnect joiner (product 548976). For direct wire installation you will also need the wiring compartment (product 548984) and an interconnect joiner (product 548976). 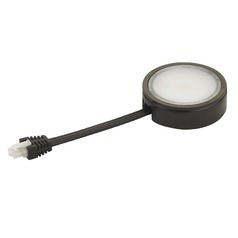 For the end of the run you will need to purchase the one wire puck light (product 549117) along with an interconnect joiner (product, 548976). The maximum total wattage of one run for this puck light series is 240 watts or 53 puck lights.If installing where space is needed between lights then interconnect wires are available in various lengths: 6-inch (product 548893), 12-inch (product 548895), 18-inch (product 548954), 24-inch (product 548957), and 36-inch (product 554159). 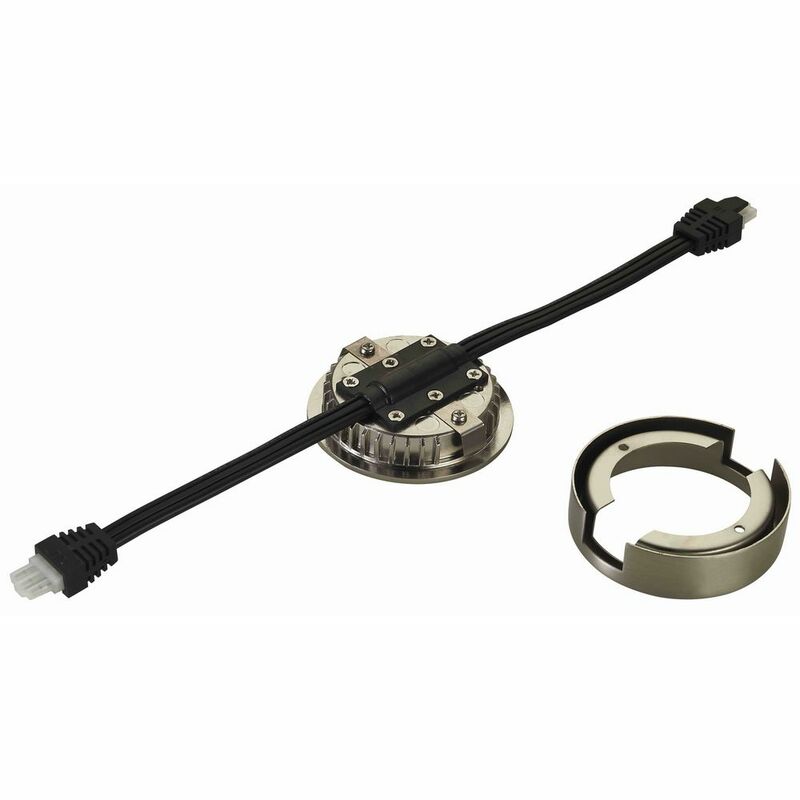 For each interconnect cable you will need to buy two of the interconnect wire joiners (product 548976). 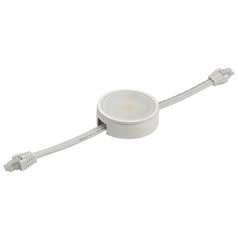 Dimmable with compatible dimmers like the Lutron Diva or Lutron Skylark. 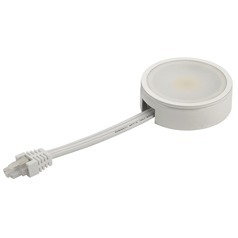 This puck light has an average lifetime of 35,000 hours and a five year warranty in residential use only. 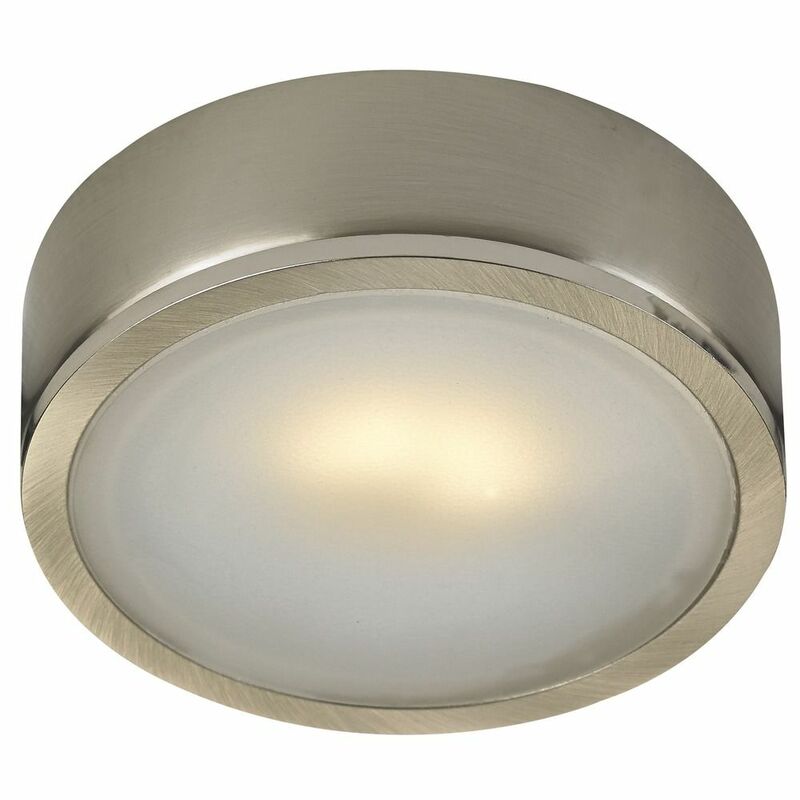 This 120 Volt Satin Nickel LED Puck Light Recessed / Surface Mount 3000K 260 Lumens is part of the LED Puck Recessed Collection from Recesso Lighting . 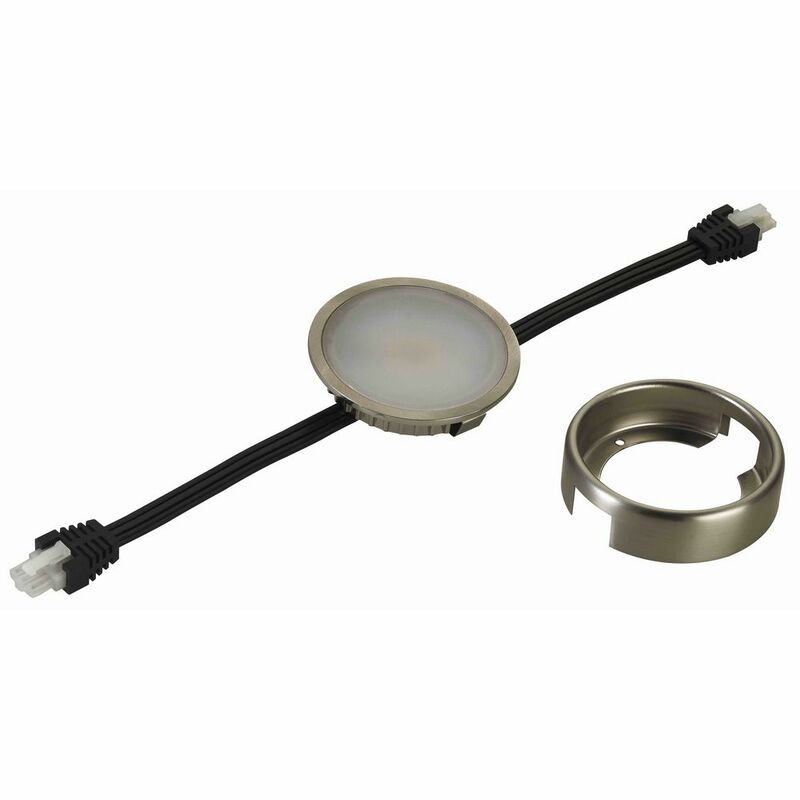 The following items are also part of the LED Puck Recessed Collection.